and of connected medical devices. 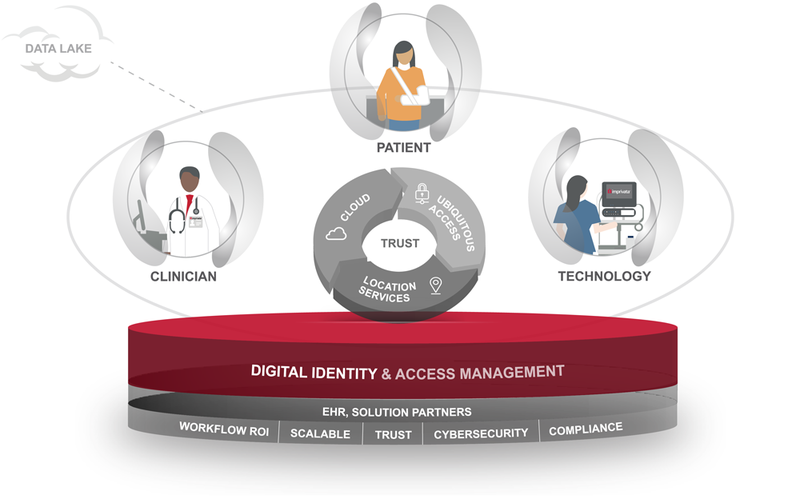 Digital identity is the cornerstone of what we do, enabling effective, efficient, secure, and compliant access and management for the systems, applications, and data that providers need to deliver quality care. We provide that access with clinical workflows, scalability, security, and compliance in mind. But we aren't stopping there. We're committed to progress and innovation, all in support of customers' needs – now and in the future. Imprivata establishes trust and streamlines clinical workflows by offering positive identity, ubiquitous access, and multifactor authentication solutions. Imprivata integrates with core strategic investments of healthcare organizations to ensure ROI not only of Imprivata solutions, but of other technology investments as well – such as EHR vendors like Cerner and Epic. We actively maintain and expand upon a strategic partnership ecosystem in all of the right places: clinical access and patient identification, virtualization and desktop delivery, clinical mobility and communication, and medical devices. Imprivata is uniquely positioned to enable healthcare securely not just because of our solutions and partner ecosystem, but also because we understand healthcare and clinical workflows. In fact, Imprivata boasts a global clinical team that understands the problems that care providers – and healthcare as whole – are facing, and who are dedicated to solving clinical problems and ensuring success. Our history, market presence, and understanding of clinical workflows enables us to continue to solve the challenges healthcare organizations face today, as well as the challenges healthcare organizations will face in the future. Hear from our CEO about why he is excited about the future of Imprivata.